Adrian Higgins in this week’s column in the Washington Post refers to the ‘Sarah Bernhardt’ peony as “pink and blowzy.” Despite his dissing one of my favorites, I found it an interesting piece on growing peonies in our area. 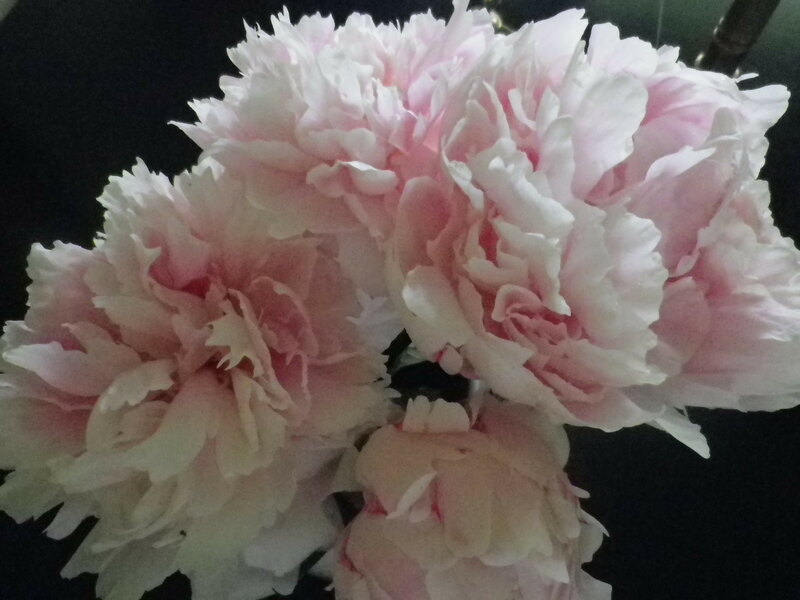 He discusses the problem of peonies weighed down and falling to the ground but barely discusses staking, which I have found keeps Miss Bernhardt from misbehaving too badly. Here are a handful of ‘Sarah Bernhardt’ blooms gathered on a rainy day and brought inside to grace the dining room table. 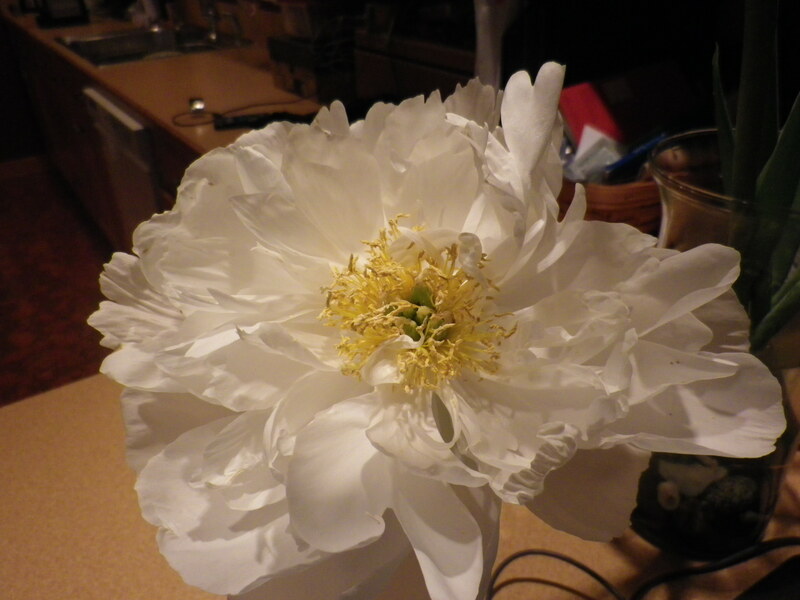 I also have two unknown peonies given to me by Susan Hepler, so they are known to me as Heplers. One didn’t bloom this year – I’m sure because it is so crowded out by the irises -but the other had one flower that makes me understand why single peonies are also glorious. I had never heard of the new ‘Itoh’ varieties Higgins mentions. Here’s a post about them. Seeing the prices, I may need to hold off a few years until they’re more affordable. In the meantime, I can long for ‘Bartzella’ with its buttery yellow blooms. Or just go to the American Peony Society site, with its cascading slideshow of delectable flowers. This is the time of year when some of us dream of beds of peonies of all descriptions. Mom always said to include them in the border rather than displaying them alone, since they are gorgeous briefly and then all that’s left is the foliage. Maybe the new bed has room for a few peonies, too?